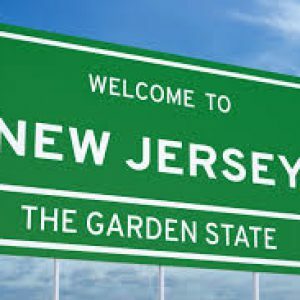 New Jersey ranks among the top 10 places to live according to 24/7 Wall St. and why shouldn’t it? With easy commuting options, pristine wilderness and beaches, great restaurants and top notch public schools, it shouldn’t come as a surprise to New Jerseyites that they have it pretty good. The 24/7 Wall St. rankings are based on an index that measures poverty rate, life expectancy at birth and the percentage of adults who have at least a bachelor’s degree. These metrics, 24/7 states, effectively sum up quality of life when it comes to health and prosperity. New Jersey came in sixth overall, falling between Minnesota and Hawaii. Strong employment that offers above-average income levels combined with a high life expectancy age of 80 makes this area highly desirable for those considering a New York-area move. 24/7 explains the differences in life expectancy between states can be caused by everything from differences in the regional quality of health care to the differences in state education system and economies, which can also make a difference in health outcomes. Here are the top 10 states to live in, according to 24/7 Wall St.
Based on their report, New Jersey is the second most affluent state on this list behind Maryland. The median annual household income of $80,088 exceeds the national figure of $60,336 by almost $20,000. 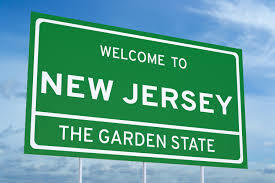 In New Jersey, 16.7% of households earn at least $200,000 annually, the largest share of any state and well above the comparable national share of 9.0%. In addition, only 10.0% of New Jersey residents live in poverty, the seventh lowest share of all states and below the 13.4% of Americans that live in poverty nationwide. New Jersey is also a relatively safe place to live. The rates of violent and property crime are among the lowest in the nation. For example, there are only about 1,555 cases of property crime for every 100,000 state residents — the sixth lowest property crime rate among all states.